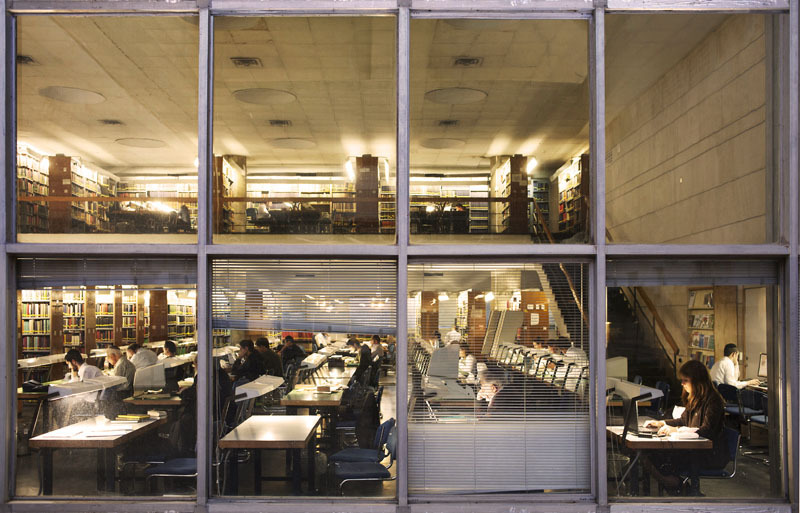 Founded in 1892, the National Library of Israel (NLI) has recently embarked upon an ambitious initiative to transform itself into a cutting-edge global center at the forefront of knowledge dissemination and cultural creativity. Tasked with collecting, preserving and providing access to the cultural treasures of both the State of Israel and the international Jewish community, this transformative renewal process is being driven by the principle of opening access to its priceless collections. The transition is taking place in the realm of content, with a wide range of cultural, educational, and technological initiatives already underway, as well as in the physical realm, with the construction of a new landmark facility in the heart of Jerusalem adjacent to the Knesset. The National Library has four core collections: Israel, Judaica, Islam and Middle East, and the Humanities. Highlights include significant collections of handwritten works by luminaries such as Maimonides and Sir Isaac Newton, exquisite Islamic manuscripts dating back to the ninth century and personal archives of leading cultural and intellectual figures including Martin Buber, Stefan Zweig and Naomi Shemer. The National Library holds the largest collection of Jewish and Israeli music, as well as world-class collections of manuscripts, ancient maps, rare books, photographs, archival materials, and more. Many of these collections have already been digitized, making them accessible as never before. A constantly expanding range of cultural, educational and technological initiatives are designed to encourage diverse forms of engagement with these treasures by users in Israel and across the globe. 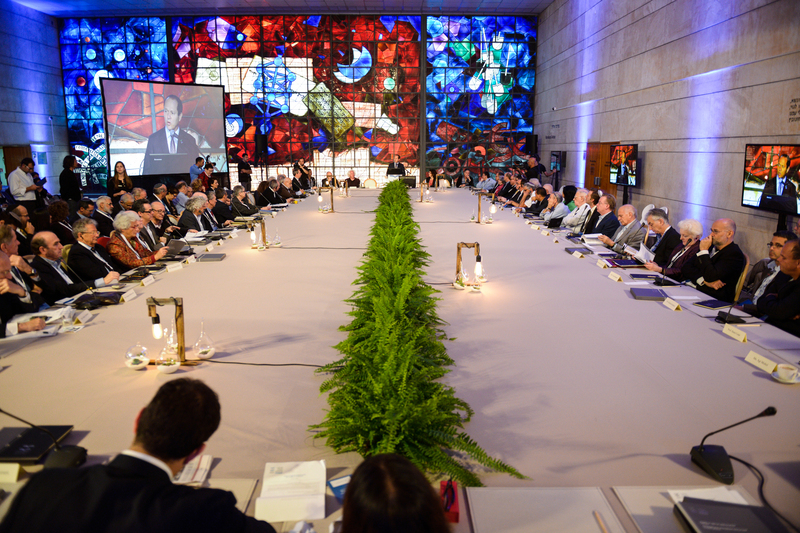 The Global Forum of the National Library of Israel is comprised of prominent leaders and creative thinkers from among the Jewish people and the world at large, who convene in Jerusalem bi-annually to address current dilemmas in light of wisdom derived from the Jewish bookshelf, a source of identity and inspiration which challenges and influences even contemporary agendas. Mr. Shimon Peres, Ninth President of the State of Israel, is the Honorary Global Forum Chairman..
All donations to NLI USA, Inc. are tax-deductible in the United States. Organization EIN: 46-4986788. The Israel Friends of the Library is comprised of leading figures from across the country who believe in the importance of the National Library, its vision and mission. Members of the group act as the National Library's ambassadors in Israel, working to advance its goals. For more information on the Israel Friends of the Library please contact us using the link below. NLI USA and the Israel Friends of the Library provide an opportunity to influence the future, growth and development of one of the oldest and most venerable research and cultural institutions in Israel and throughout the Jewish world, currently in the midst of a landmark process of renewal and transformation. A dedicated and diverse team of professionals, led by CEO Oren Weinberg and Chairman of the Board David Blumberg, strive for excellence in ensuring that the National Library fulfills its ambitious mandate, serving the Israeli, Jewish and global communities. For additional governance information, click here.